Discover some top ways of selecting the best pocket watch for your man’s tastes and preferences. Presenting your loved one with a vintage pocket watch can be the perfect gift. For men, pocket watches are associated with feelings of pride and pleasure. 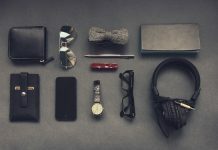 If you know a thing or two about what sort of styles or brands your man is into, this will help the selecting process. However, if you don’t and want to surprise him it’s no problem. This article will provide some great tips on how to choose the perfect watch. 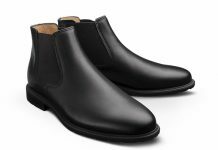 What you need to focus on finding is the styles that ooze a high standard of craftsmanship and detail. If you know where and how to look, you can find brilliantly designed pocket watches for reasonable prices. First it’s important to consider what actually identifies a vintage pocket watch? Once you know these specific things about a pocket watch you will be able to accurately identify whether it is a true vintage piece. When going to the designer or manufacturer, you can ask for more information about the two main components of pocket watches. These are the case and the movement. The movement refers to how it works on the inside and keeps the time. The case is the outside cover that often features a crystal covering the dial. Knowing these details will help you to make an informed purchase and find out the level of quality behind the pocket watch. Quality is a crucial factor in choosing a vintage watch your loved one will like. As the prices of men’s antique pocket watches have steadily increased, you’ll need to dig deeper to find the highest affordable quality. You should look for designs that contain minimum 15 to 17 jewels. If you are looking at vintage American watches, these mainly contain anywhere between 19 to 23 jewels. These types are very popular and can be found at antique jewellery shops like Kalmar Antiques Australia. If your man is a serious vintage collector, he will be over the moon with this choice. If you can, stay away from watches that contain 7-11 jewels as these are more mundane. If you can spot special or unique qualities about them however, it may be worth investigating further. 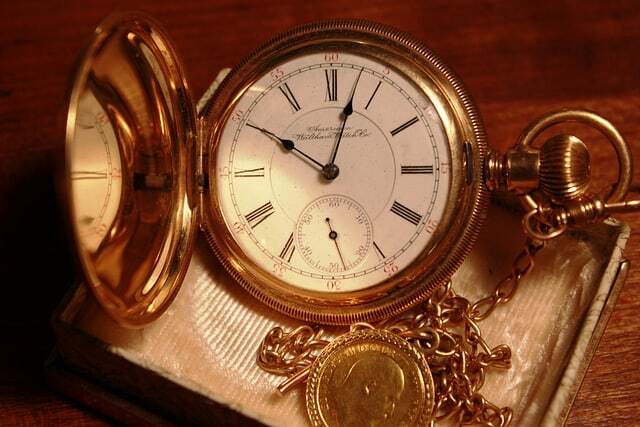 There’s such a variety of designs and features in the market for pocket watches. That’s why it’s important to have a focus and know what your man likes. When you know what price range you want to purchase within, consider the movement type he will like. Also get to know the material, case colour and dial treatment the recipient prefers. Knowing these details will help you make an informed purchase your man is guaranteed to love. It’s common for women to choose pocket watches that are smaller in size. Men on the other hand like larger sizes as they are viewed to be more masculine. So always sway towards the larger units. The most popular size has a 45mm diameter. Antiques pocket watches for sale have these sizes available. A vintage watch can have an open-face which means there is no cover to protect the crystal. Another type of design is the Hunter case watch that has a round metal case. This has particular advantages in protecting the watch from getting scratched or potential damages that occur over time. The demi-hunter watch has a small glass circle so it is more practical as you can glance at the time without having to open the case. But your recipient could love the feel of flipping open the case to get to the time. So this is down to your judgement!